Inmagic Presto is a knowledge management platform that helps organizations capture, access and distribute information to improve effectiveness. Inmagic Presto’s fully Web-based platform enables you to manage, find and share knowledge resources. Lucidea knows that knowledge workers thrive within their organizations and profession by adapting to challenges, acting based on best practices, and creating change. They also know that librarians and knowledge managers, along with collections managers and archivists, are continually asked to deliver more with less – smaller budgets, fewer staff, and possibly even less physical space. Founder and CEO Ron Aspe built Lucidea on the belief that information-intensive companies need flexible tools that fit unique requirements and deliver visible, tangible results. Inmagic Presto makes it easy for technical and non-technical users to manage any type of data or information in a consolidated knowledge center, connecting people with internal resources and third party content and alerting them to new content via RSS feeds – all from a single access point. Presto leverages and works harmoniously with your current IT infrastructure – so you Presto fits your KM needs and not the other way around. Presto is SAML compliant and integrates with Active Directory and many third party authentication systems to ensure that content is secure. Presto integrates with SharePoint with full search interoperability. Presto web parts are available so SharePoint users can create rich, functional pages and sites. Presto also has a full API for integration of various shapes and forms. Presto enables users to act on content via email sharing or by download so they can easily make use of the information. With social features, users can add-value to the content they are finding. Social tagging increases findability, comments can point to related documents or errors, ratings can help users find quality documents more quickly. To protect our knowledge’s privacy and security, Content administrators have full control of what social capabilities are available and who can use them. Enable your users to find critical information and expose them to content that they might never have found using traditional search methods. Knowledge needs to be as mobile as the people who need it and Presto helps you make that possible. Presto enables your users to access or download key documents they need while they’re on the go. Presto’s mobile ready interface works across Apple iOS, Android, and Windows platforms and devices. With Presto your users’ tablets and mobile phones are a gateway to your organizations knowledge. 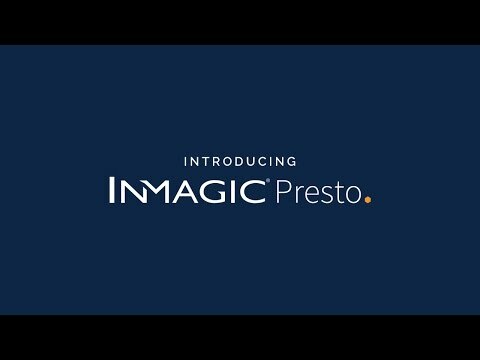 This video highlights the many ways Inmagic® Presto helps you aggregate your organization's knowledge assets and make them accessible, offering an easy and enjoyable route to your Knowledge Management destination. Presto is a powerful and comprehensive web-based Knowledge Management solution, purpose-built by experienced professionals with the knowledge manager in mind.